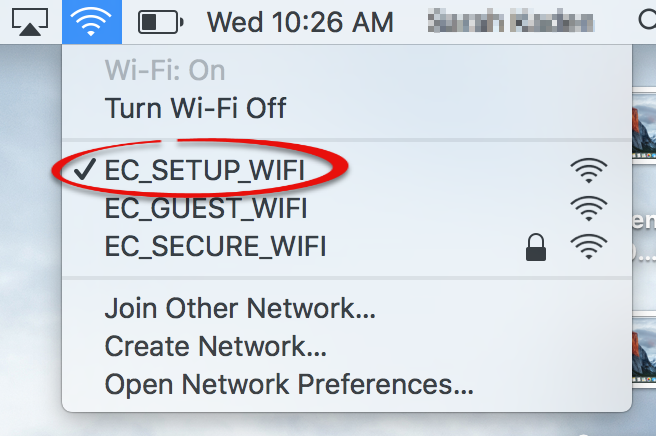 How to connect your Mac to EC_SECURE_WIFI. This is a secure wireless network that is available to anyone with an E-town username and password. Your computer must be also registered before you can access the network. 1. Open the Wireless menu on your device and connect to EC_SETUP_WIFI. 2. Open a web browser, visit https://cloudpath.etown.edu. 3. Make sure you agree to the terms and conditions before selecting start. 4. 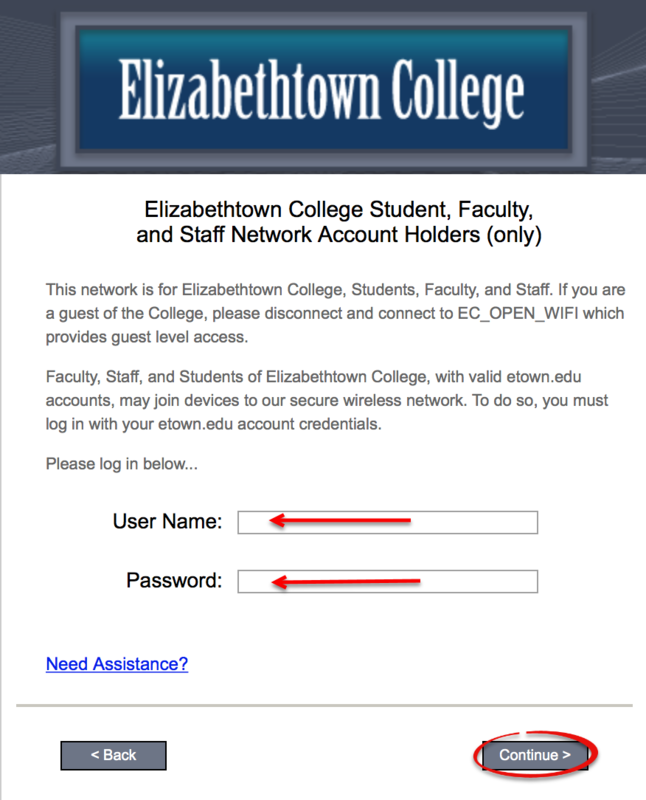 Enter your username (without @etown.edu) and password and follow the on-screen prompts. 5. Visit update.etown.edu and follow the prompts to register your computer. Step 1:Click the Airport icon on the menu bar. If wireless is not already on, click Turn Wi-Fi On. The Airport icon will show that wireless is turned on. 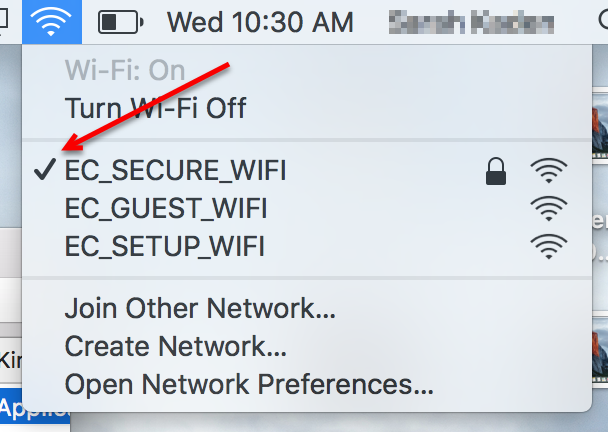 Step 4:Click the Airport icon and select EC_SETUP_WIFI. There will be a check next to EC_SETUP_WIFI when it is connected. Open Safari or other web browser. The wireless configuration page will appear. 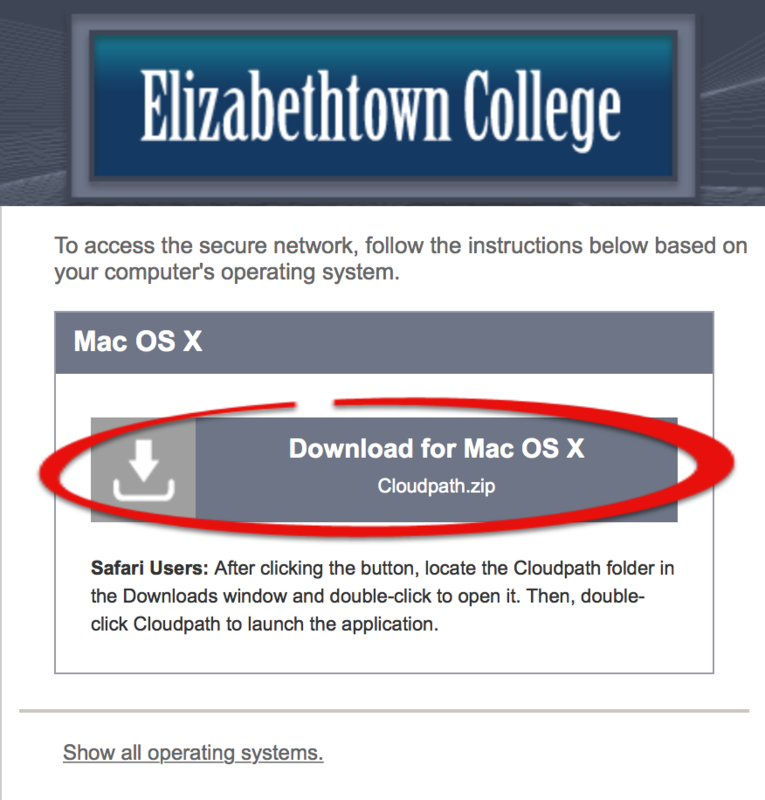 Select Click here to continue under Elizabethtown College Users. Check to accept the terms, then click Start >. Step 9:Enter your Username and Password and click Continue. 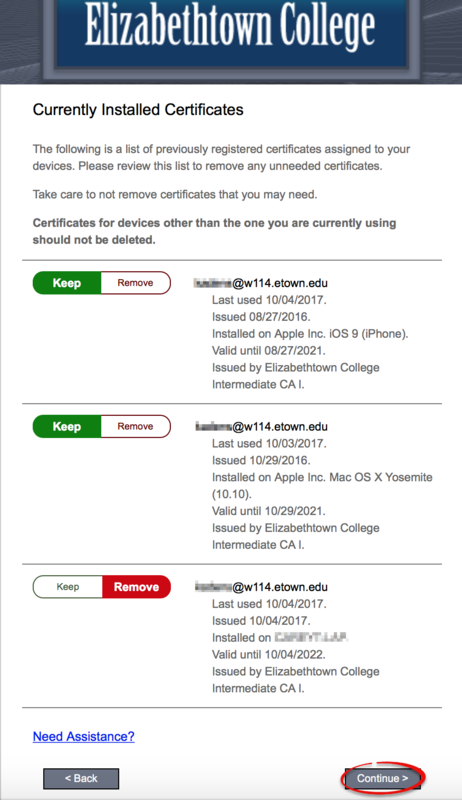 If prompted, you can choose to keep or remove certificates from devices that you've previously registered. Make sure to keep any cell phones, tablets or laptops that you use on the wireless network. Click Download for Mac OS X. 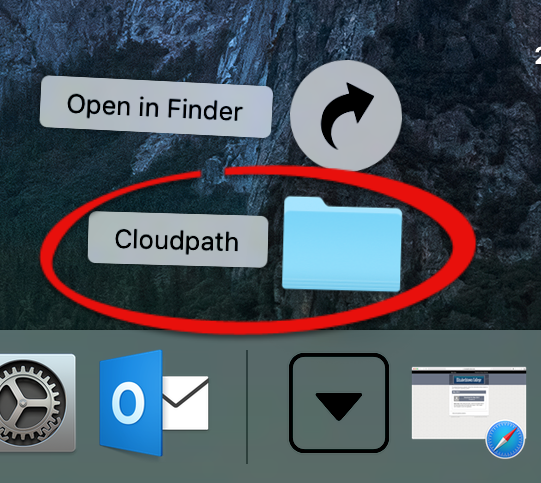 Open the Cloudpath folder from Downloads. In the Cloudpath folder, double click the Cloudpath file to launch the program. 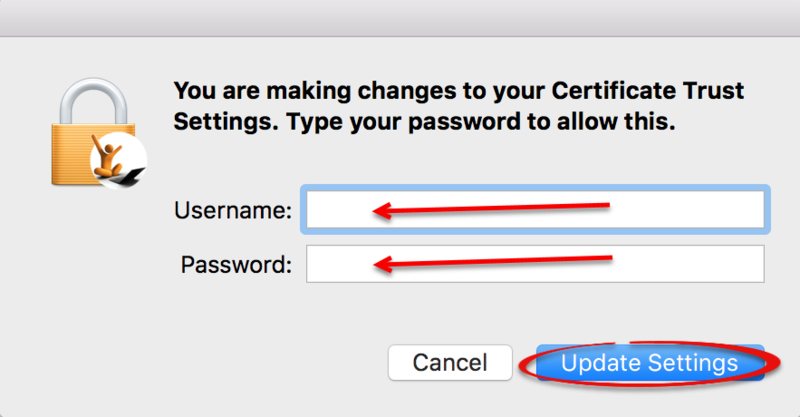 Enter your Mac username and password, then click Update Settings. 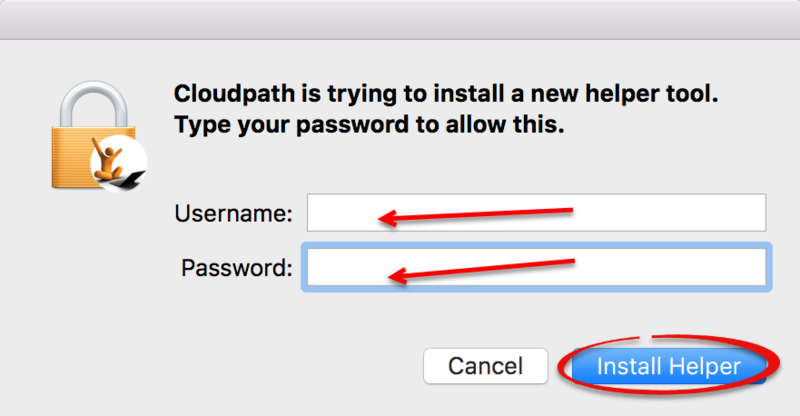 Step 16:Enter your Mac username and password and click Install Helper. 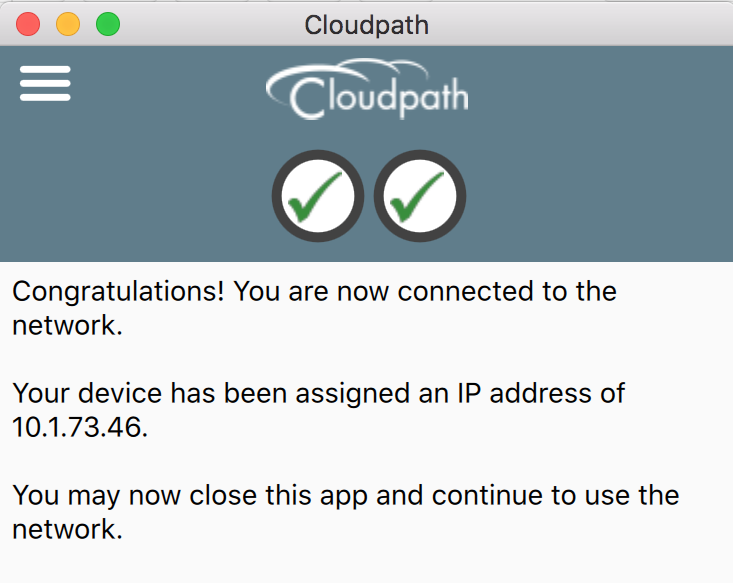 Once Cloudpath is done configuring and connecting, exit the window. Your wireless connection will be moved to the EC_SECURE_WIFI. To confirm that this change has occurred, click the Airport Icon. You will see a check mark next to EC_SECURE_WIFI. 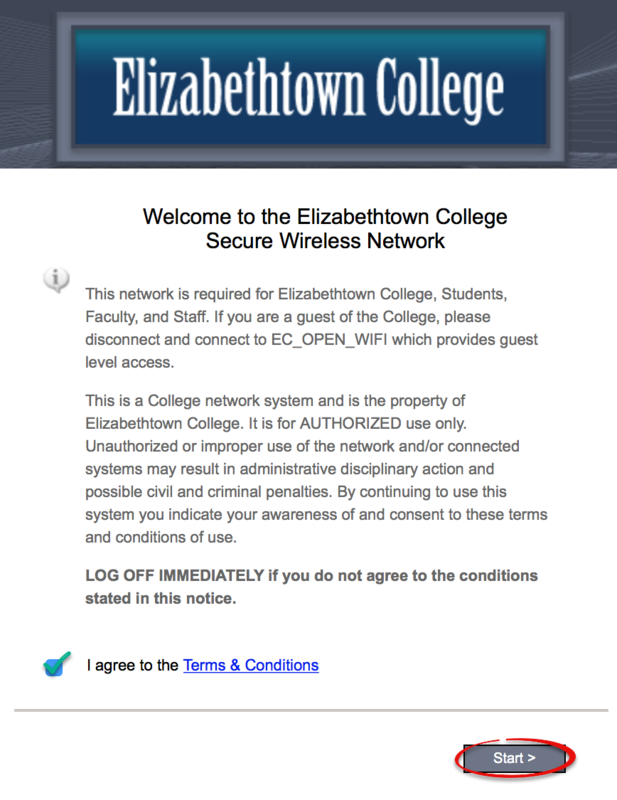 After connecting to the network (using either the wired or the wireless connection), open a browser and visit http://update.etown.edu. This website will guide you through the process of installing Bradford Persistent Agent and Cisco AMP for Endpoints antivirus software on your computer, and registering your computer on the network.